Windsor County vital records may be ordered from the Woodstock town clerk in the town hall. The office is open weekdays 8 am to noon and 1 to 4:30pm. 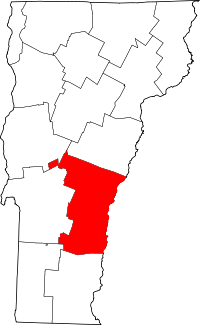 The town clerk may be contacted by telephone (802-457-3611), fax (802-457-2329), email (jay@townofwoodstock.org), or mail and will issue certified copies of birth, marriage/civil union, and death certificates. Local town clerks in Windsor County may also be contacted for records in that specific town: Andover, Baltimore, Barnard, Bethel, Bridgewater, Cavendish, Chester, Hartford, Hartland, Ludlow, Norwich, Plymouth, Pomfret, Reading, Rochester, Royalton, Sharon, Springfield, Stockbridge, Weathersfield, West Windsor, Weston, and Windsor, as can the Vermont State Archives in Montpelier.